The USF Cell, Molecular, and Microbiology Department hosts a seminar series on campus throughout the semester. The lecturers range from Nobel Prize winners to Professors to PhD students. 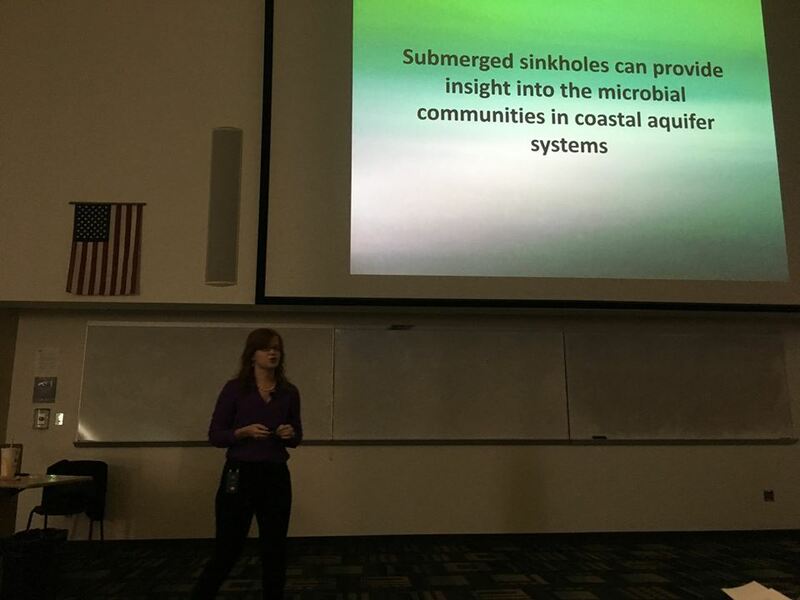 Madison, one of our PhD students, gave a seminar on her research on Florida sinkholes. She has found that the three sinkholes she is focusing on—Hospital Hole, Hudson Grotto, Jewfish Sink— have unique microbial communities despite all being linked to the Upper Floridan Aquifer.